A beautiful town at the foot of the mountain range of the same name, its unique characteristics have led UNESCO to classify it as a World heritage site. It was even necessary to create a special category for the purpose – that of “cultural landscape” – taking into account its natural riches as well as the historic buildings in the town and mountains. 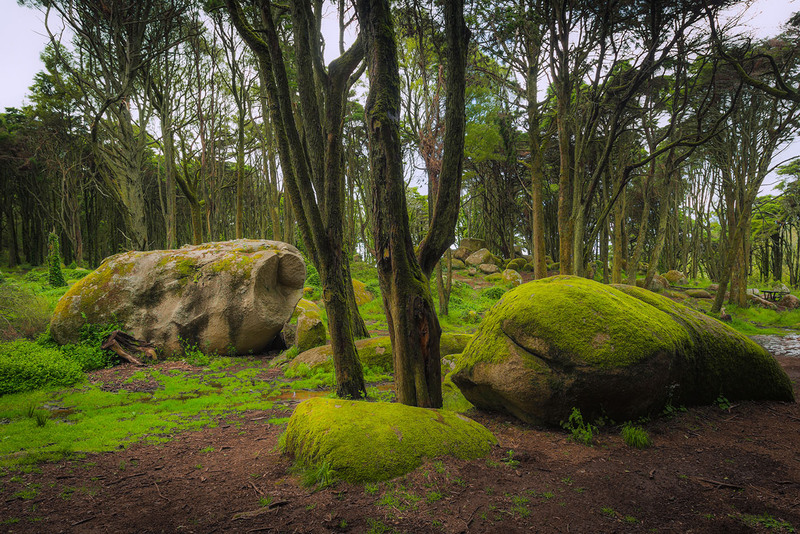 Endowed with luxuriant vegetation, the mountains are part of the Sintra-Cascais Natural Park. From early times Sintra has been the place of choice for the settlement of various peoples who have passed through the Iberian Peninsula and left traces of their presence, which are now displayed in the Archaeological Museum of Odrinhas, in the outskirts of the town. In the 12th century, Dom Afonso Henriques, the first King of Portugal, captured the Moorish Castle, and his successors later built their holiday residence. Their physiognomy is marked by the two enormous conical chimneys built in the Middle Ages. Much appreciated by kings and nobles as a country resort, and praised by writers and poets like (inevitably) Lord Byron who called it “glorious Eden”, Sintra has a wealth of cottages and manor houses, some of which now provide accommodation in the form of country-house tourism. 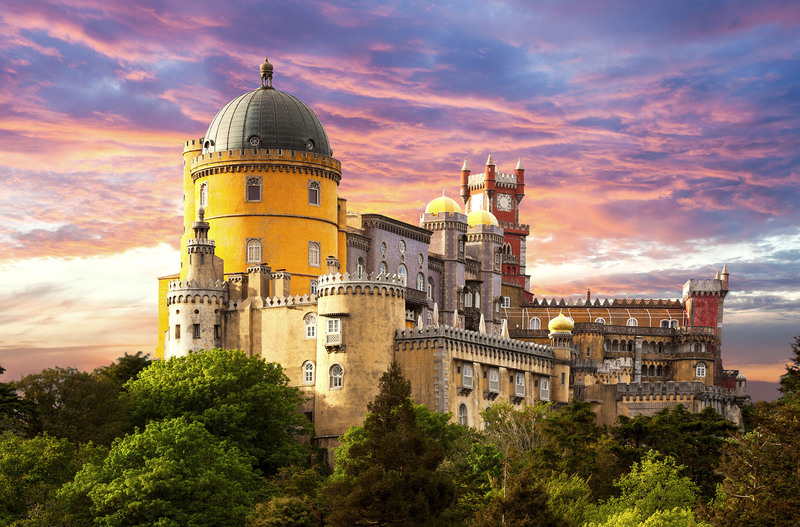 The palaces, too, are outstanding, such as the Pena Palace, built in the Romantic period on one of the mountain peaks, and the 18th century Palace of Seteais, now converted into an elegant hotel, and the Palace of Monserrate, famous for its beautiful gardens with their exotic species that are unique in the country. 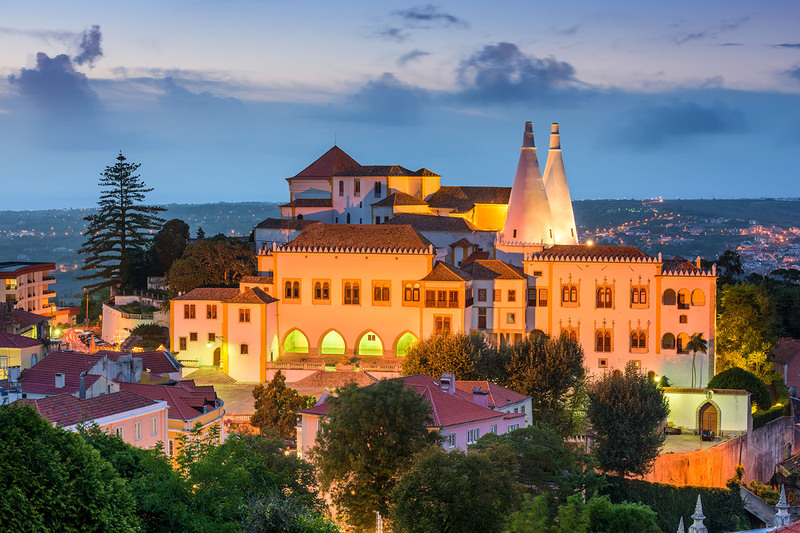 Sintra’s confectionery deserves a special mention, particularly the travesseiros (puff pastes stuffed with a sweet eggy mixture) and the famous cheese-cakes, which according to ancient documents were already being made in the 12th century, and were part of the rent payments. Near Sintra are the beaches (das Maças, Praia Grande, Praia da Adraga), Cabo da Roca (the westernmost point of mainland Europe), Colares (after which a demarcated wine-growing region is named), and the picturesque village of Azenhas do Mar, inset in a cliff. © Living Lisboa 2017. All rights reserved.